Comté cheese has been produced in the Massif du Jura region of France for over 1,000 years, using only organic Montbéliarde and French Simmental cows’ milk. Its production is still based on artisanal traditions, lovingly crafted in around 160 small villages that receive their Comté milk from local dairy farms located within an eight-mile radius. Once made, the cheese wheels are pre-ripened for a few weeks before being relocated to one 16 maturing cellars in the region. Here, affineurs tend to them for as little as four months or as much as 18 or more, regularly turning and salting them, and rubbing them with brine solution, which over time creates a crust, with a smooth texture and rich colour beneath. Now that we’re enjoying some warmer weather, it’s time to dine on lighter dishes to be savoured en plein air in the sunshine. 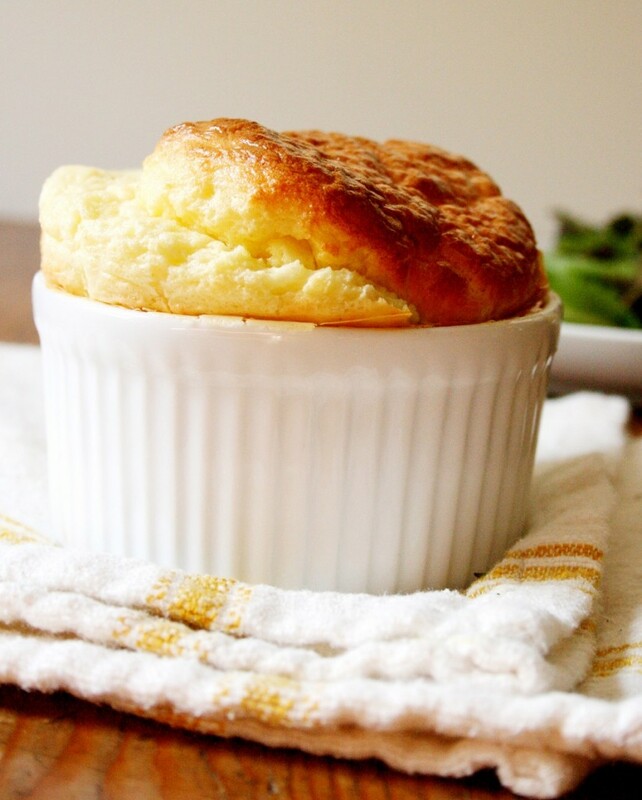 This is a recipe for a classic French soufflé made with Comté cheese, adapted by chef Jason Berthold. It utilises Comté’s nutty, sweet flavour and versatility, matching with both red and white wines – the perfect choice for entertaining. Serve them as a starter or with a salad as a main course.